Network Serial Port Kit - Share and access any serial devices or create virtual null-modem cables over a TCP/IP network or the Internet. Network Serial Port Kit is a software for sharing serial ports and COM port devices over a local network or the Internet. When you share a physical serial port, it becomes accessible for other computers over network. Thus you can easily connect to remote serial device from anywhere. 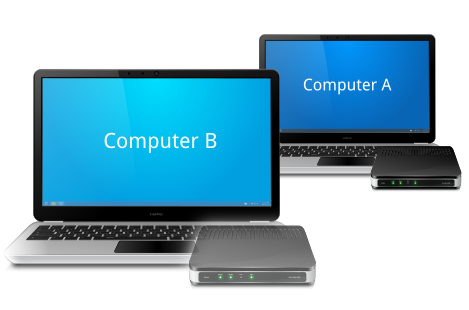 When the program shares a COM port on the remote computer, the shared port becomes accessible over a network for other computers with Network Serial Port Kit installed. On the local computer a virtual serial port is created. 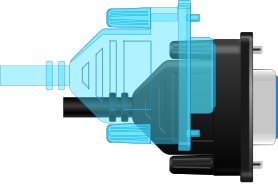 The virtual port is connected to the specified remote physical port. As soon as any communications software on the local machine opens the virtual port, the connection between physical and virtual serial ports is established. All the data and signals written to the virtual port are transferred to the remote physical COM port and vice versa. 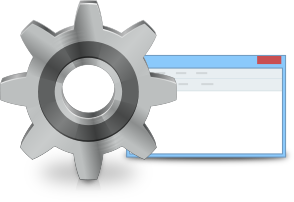 Local application accept data transferring as if the remote device were plugged into COM port on the local computer. There are no any problems when working with serial devices remotely. Any serial devices will function normally, including barcode scanners, modems, GPS, sensors, PBX, laboratory equipment and more. You won't see a difference because remote serial devices will function as local ones. Computer A is located in London. The modem ZyXel Omni 56K is physically plugged into COM1 on the computer. Computer B is located in New York. You want to use the modem ZyXel Omni 56K on the computer B in New York. Network Serial Port Kit shares COM1 on the computer A and makes the serial port accessible for the computer B overseas. The program creates virtual COM4 on the computer B in New York and connects virtual COM4 with shared COM1 in London. Now COM1 and COM4 are connected over the Internet. COM4 is the exact copy of COM1 which makes it possible to use the hardware modem on the computer B in New York. Virtual serial ports looks exactly as remote physical COM ports. The program fully emulates the COM port internals. Virtual COM ports are accepted by any serial communications applications as hardware ports. Certain applications require minimal response time for correct functioning. 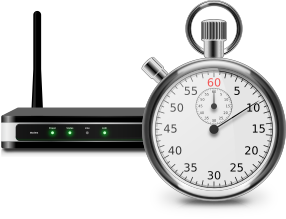 The option allows you to increase the latency period for input/output operations and work even over slow network or the Internet connections. Network Serial Port Kit makes virtual serial ports accessible at every system start even prior to user's logon. It means that virtual serial ports are created automatically and you don't have to adjust anything or even login to operating system. The program detects the breakdown of a local network or the Internet connection between local and remote sides. The connection is automatically established as soon as it is possible. Another option is to use Network Serial Port Kit as virtual null-modem cable over a network. This is how two communications applications are connected over LAN or the Internet. The connection between two remote virtual serial ports is established by emulating virtual null-modem cable. Thus data written to a local virtual serial port are easily transferred to a remote virtual port and vice versa. Unlimited number of serial devices can be shared or accessed. Virtual communication is more fast and reliable than using real null-modem cable. Different virtual null-modem schemes are available. Serial data transmission speed (bitrate) emulation. Network Serial Port Kit. Software for sharing COM ports over a local network or the Internet.